AA Saint Paul | What is intergroup? What is Intergroup's purpose?When was Intergroup organized?How is Intergroup organized?How is Intergroup supported?What vital services does Intergroup provide?What does AAWS say about Intergroups? 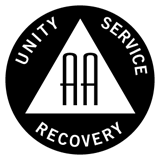 Intergroup's primary purpose is to assist the AA groups of Saint Paul and the Suburban area in carrying the message of Alcoholics Anonymous to those who still suffer. Intergroup derives its legitimate authority from, and is responsible to the member groups which it serves. In all its activities, policies and proceedings, Intergroup observes the practice and spirit of AA's Twelve Traditions and Twelve concepts for World Service, as well as its three legacies of Recovery, Unity and Service.